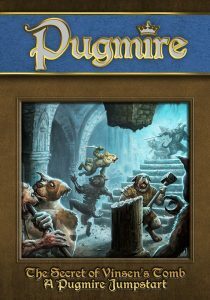 Now available in PDF from DriveThruRPG: The Secret of Vinsen’s Tomb: A Pugmire Jumpstart for Pugmire! A cat living in Pugmire disappears, but neither the police dogs nor the cats of the Cat Quarter know why. When zombies attack the heroes, however, all signs point to an invasion by the Monarchies of Mau. But how does this intrigue tie into the lost tomb of the first king of Pugmire? “The Secret of Vinsen’s Tomb” is a Pugmire story for three to six characters. 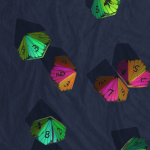 This jumpstart contains all the rules and characters you need to play — just grab some dice and go! You can also use this adventure with the full version of Pugmire. A summary of Pugmire’s traditional fantasy rules system. It’s designed for streamlined play, with an emphasis on cooperation and action over competition and violence. 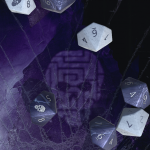 A complete adventure for a Guide to run for three to six players. Also useful for Guides running a full Pugmire game of first or second level characters! Six ready-to-play characters, so you can jump into the action. Can your good dogs discover the secrets of Vinsen’s Tomb? 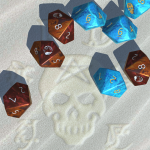 Also available: New dice and table surfaces for the Onyx Dice app! 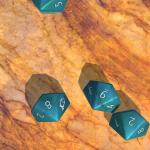 Seven new dice and four new table surfaces have been added to the Onyx Dice dicerolling app, available via iOS and Android. 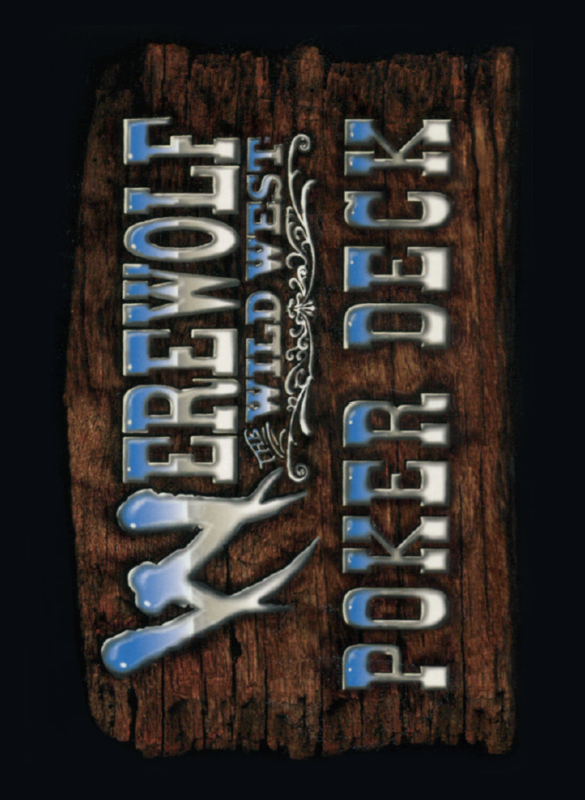 Note that the original Wild West Poker Deck was printed on oversized and slightly elongated cards. 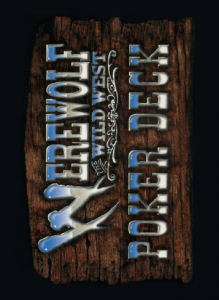 This reproduction is on a more traditionally-sized poker card. … is going to need a new name with the Canis Minor community content site opening soon. Suggestions for something that encompasses both? “Community spotlight” is nice, albeit not very alliterative.